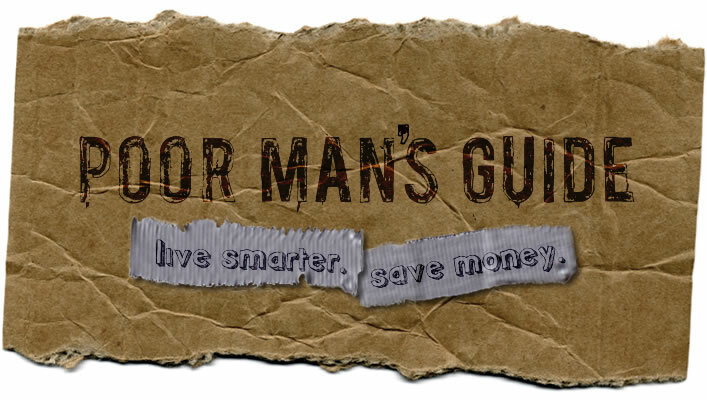 Poor Man's Guide - Live smarter. Save Money. For now, we will post deals that are either free or extremely cheap. Come back often to see new postings. In the future, we plan to build a community around people who like to save money, but still want more out of life. Members will be able to refer the community to businesses, services and general offerings that will provide great savings. PMG will be the place to find that secret "hole-in-the-wall" restaurant that usually would only be found through a friend's recommendation. Eventually, the site will be populated with articles, how-to tips and other resources that will help you be more savey about how you spend. Make sure to sign up for our mailing list at the bottom of the page. ©2017 Poor Man's Guide™. All Rights reserved.